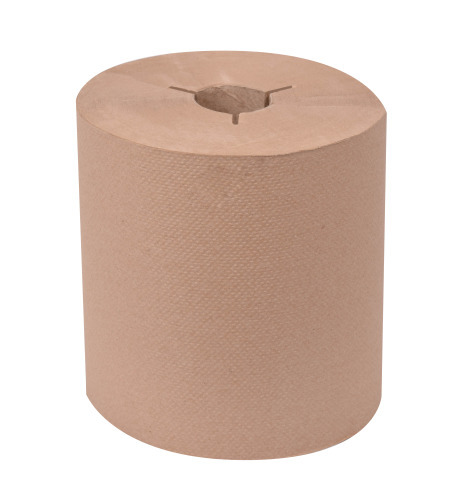 Tork Universal Hand Towel Roll features a blend of pre- and post-consumer wastepaper which ensures softness and quality. This toweling has added value and benefits such as controlled usage and cost savings when combined with controlled roll towel dispensers. Made entirely from 100% recovered materials and contains a minimum of 40% post-consumer waste, which meets EPA guidelines.